Pamela Dorman Books, 9780525427407, 352pp. For Jane Re, half-Korean, half-American orphan, Flushing, Queens, is the place she’s been trying to escape from her whole life. Sardonic yet vulnerable, Jane toils, unappreciated, in her strict uncle’s grocery store and politely observes the traditional principle of nunchi (a combination of good manners, hierarchy, and obligation). Desperate for a new life, she’s thrilled to become the au pair for the Mazer-Farleys, two Brooklyn English professors and their adopted Chinese daughter. Inducted into the world of organic food co-ops and nineteenth–century novels, Jane is the recipient of Beth Mazer’s feminist lectures and Ed Farley’s very male attention. But when a family death interrupts Jane and Ed’s blossoming affair, she flies off to Seoul, leaving New York far behind. Journeying from Queens to Brooklyn to Seoul, and back, this is a fresh, contemporary retelling of Jane Eyre and a poignant Korean American debut. Patricia Park was born and raised in New York City. She earned her BA in English from Swarthmore College and an MFA in Fiction from Boston University, where she studied with Ha Jin and Allegra Goodman. A former Fulbright Scholar and Emerging Writer Fellow at the Center for Fiction, she has published essays in The New York Times, Slice, and The Guardian. She lives in Brooklyn, New York. "Re Jane is breezy and accessible. . . Park offers real insight into assimilationist struggles . . . Park's portrait of Korean-American life feels authentic and is ultimately endearing. Charlotte Brontë would be proud." “Park is a fine writer with an eye for the effects of class and ethnic identity, a sense of humor, and a compassionate view of human weakness. . . An enjoyable book offering a portrait of a young woman struggling to come into her own in the increasingly complicated opening years of a new century." 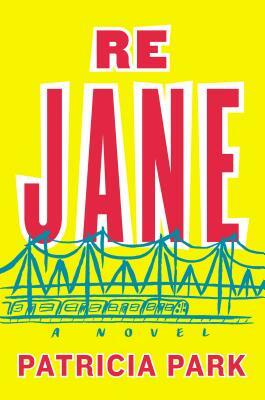 “[Jane’s] journey ripples with comic and surprisingly authentic moments. Park is a smart, engaging writer, able to capture the emotional weight of a romantic gaze as well as the complicated ties of family. . . . Most everyone who has struggled to fit in will relate to parts of Park's coming-of-age tale. . . Reader, try not to leave charmed. “Re Jane is a rich and engaging novel. Besides being a love story, it is infused with contemporary subject matter, such as longing versus belonging, the immigrant experience. Patricia Park writes with earnestness, honesty, and exuberance, which make the novel thoroughly enjoyable. —Elizabeth Nunez, author of Prospero’s Daughter and Anna in-Between.